When you are a convicted criminal, work can be very hard to find. One New York Times article captures it perfectly, which describes lives literally unfolding due to one unfortunate event in a person’s life. Even as our economy improves, those with prior convictions on their records can face endless hurdles in getting employment, and as a result, can end up losing everything else that means something to them—foreclosure of their home, banishment from participation in community activities like church, owing thousands of dollars in arrears on child support payments, etc. Without being able to obtain employment, it can be beyond difficult to start over. Reportedly, the list of Americans with criminal records grew rapidly in the last few decades as the government cracked down harder and harder on particular crimes, especially drug-related crimes. As of 2015, men with criminal records accounted for approximately 34 percent of all non working men between ages 25 and 54. Not only are employers often reluctant to hire those with criminal records, but laws will often place broad bans on particular types of jobs for those with criminal records, preventing these individuals from reentering society. This is not only having negative impacts on people’s lives, but also on the broader economy as well. Some examples of jobs that are often off-limits include banks, trucking companies, schools, security companies, etc. Surveys show that at least nine in 10 employers check criminal record databases when hiring for some positions, and some not only consider felony convictions, but misdemeanors and even just arrests as well. Fortunately, states like New York have started to recognize this illogical injustice and allowed for individuals with conviction records involving certain offenses to have the record of their conviction sealed. In addition, New York’s “ban the box” law went into effect in August 2017, restricting the use of criminal history in the employment process. The law also entails what process must be followed before an employer makes an adverse decision just on the basis of an applicant’s criminal history. Failing to comply with the review and notice process required by the Act. 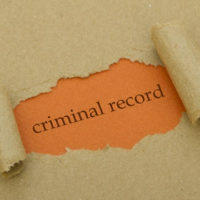 In the state of New York, a criminal record cannot be “expunged” but it can be sealed. To receive a legal opinion regarding getting your record sealed in the state of New York, contact Levy & Rizzo, LLC, The Clean Slate Attorneys today. We focus solely on helping those with criminal records in getting criminal records sealed. New York attorney Jeffrey Rizzo is a member of Levy & Rizzo, LLC, which through its Clean Slate Legal Services division is committed to helping New Yorkers get records of old criminal convictions sealed, opening the door to a brighter future. Through Clean Slate Legal Services, a division of Levy & Rizzo, LLC, attorney Eric D. Levy helps New Yorkers seal the records of their criminal convictions under New York Criminal Procedure Law CPL 160.59. © 2017 - 2019 Levy & Rizzo, LLC. All rights reserved.